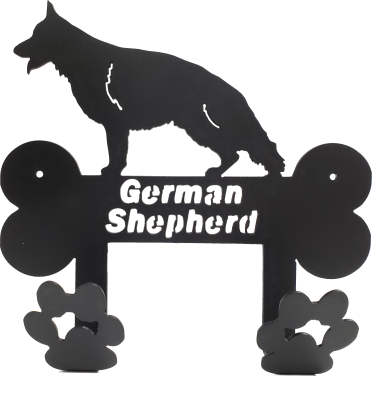 This CNC cut steel hanger is great for your dog's leashes and collars or to hang a purse, bag, or coat from. Made from a single piece of 12 gauge steel for maximum durability. Mounting holes for easy installation. Comes in flat black painted finish. Many dog breeds to choose from! Makes a great gift!